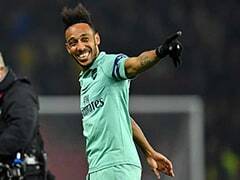 Arsenal scraped into the last 16 of the Europa League despite a 1-2 second-leg defeat by Ostersunds, but Thursday's action was marred by violent clashes at the match between between Athletic Bilbao and Spartak Moscow which left a police officer dead. 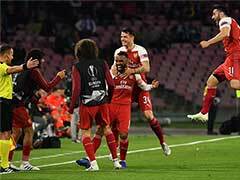 Two quickfire first-half goals gave Swedish minnows Ostersunds hope of a sensational comeback at the Emirates, but Sead Kolasinac's goal just after the interval saw Arsenal hang on for a 4-2 win on aggregate. The north London giants move into Friday's last-16 draw, but Ostersunds will take all the plaudits for a brave display full of quality. "At 2-0 we thought we had a chance. We played well, won the game but it was just short of the miracle," Ostersunds coach Graham Potter told BT Sport. A Basque police officer died as security forces clashed with fans of Russian club Spartak Moscow in Bilbao. "We can confirm that a Basque policeman died Thursday," said a press spokesman for Ertzaintza, the Basque police region. However, he would not comment on reports that the officer died as a result of the violence. "Five people have been arrested. We do not know if they are all supporters of Spartak, but many of them are Russians." More than 500 police officers had been deployed for the high-risk return leg of the tie, which Bilbao won 4-3 on aggregate despite a 1-2 loss on the night. Having cruised to a 3-0 victory in the first leg last week, Arsene Wenger's Arsenal appeared complacent and were caught out by the vibrant visitors to the Emirates. Midfielder Hosam Aiesh capped off a slick move for the underdogs to pull one back in the 22nd minute, running onto Saman Ghoddos' through ball and slotting into the corner with the aid of a deflection off Calum Chambers. The hapless Arsenal centre-back was caught out just 69 seconds later as the home fans were left stunned, with winger Ken Sema spinning Chambers and drilling a low finish past Gunners goalkeeper David Ospina. 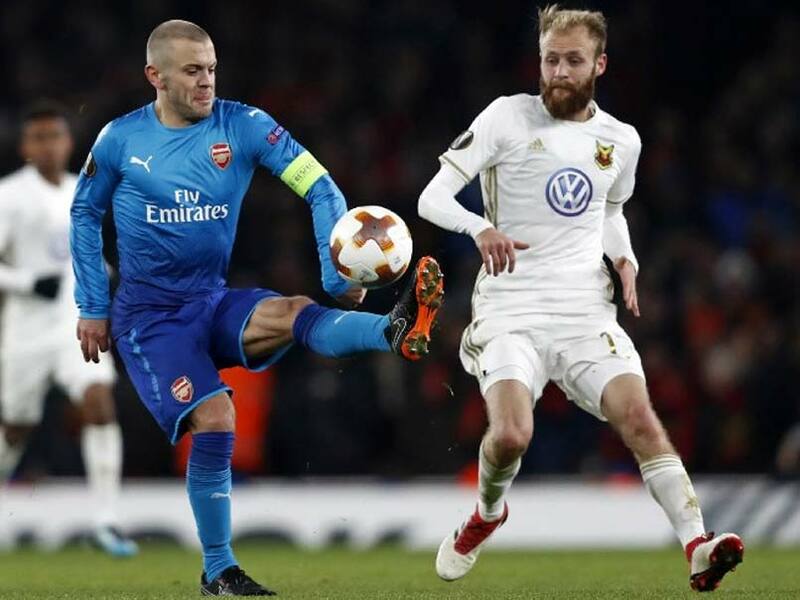 Potter may have been thinking back to his side's missed injury-time penalty in the first-leg 3-0 loss, but they continued to press as Arsenal laboured. The Premier League side made it to half-time with a 3-2 aggregate lead intact, but were booed off the field by their own supporters. Unsurprisingly, Wenger's men were much-improved after the break and left-back Kolasinac capitalised on uncertainty in the Ostersunds defence to hammer home with his weaker right foot. But instead of building on that goal, Arsenal continued to be largely outplayed by their unheralded opposition, with Ghoddos and Curtis Edwards both going close to restoring the two-goal cushion. 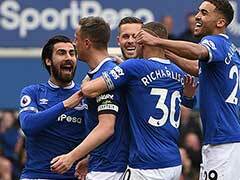 The Swedes ran out of legs as their continental adventure came to an end with a famous victory, but Arsenal were left facing plenty of questions ahead of Sunday's League Cup final against Manchester City. "We were nowhere near it and not good enough," said Arsenal midfielder Jack Wilshere. 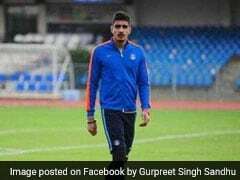 "We are through and that is all that counts. We will see who we get tomorrow and refocus on the big game on Sunday." Marcel Schmelzer's late equaliser saw Borussia Dortmund grab a 1-1 draw at Atalanta to edge into the next round. Michy Batshuayi's double had brought Dortmund back from 2-1 down to win last week's home game 3-2, and Schmelzer struck seven minutes from time on Thursday to keep the German side in Europe. Belgian striker Batshuayi accused Atalanta fans of racist abuse after the game, writing on Twitter: "2018 and still racists monkey noises in the stands... really? hope you have fun watching the rest of @EuropaLeague on TV while we are through... #SayNoToRacism. #GoWatchBlackPanther." Serie A leaders Napoli gave RB Leipzig a serious fright in Germany, but a 2-0 win was in vain as last week's 3-1 loss proved too much to come back from. Leipzig held on to continue their debut European campaign with Napoli left to focus on defending their one-point lead over Juventus in Italy.